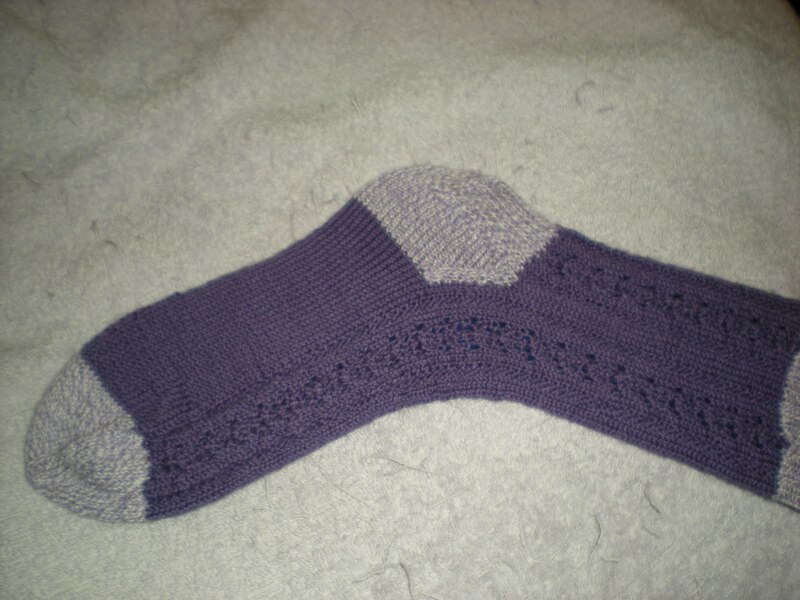 I have to finish doing the heel gusset on my matching, mismatched socks. 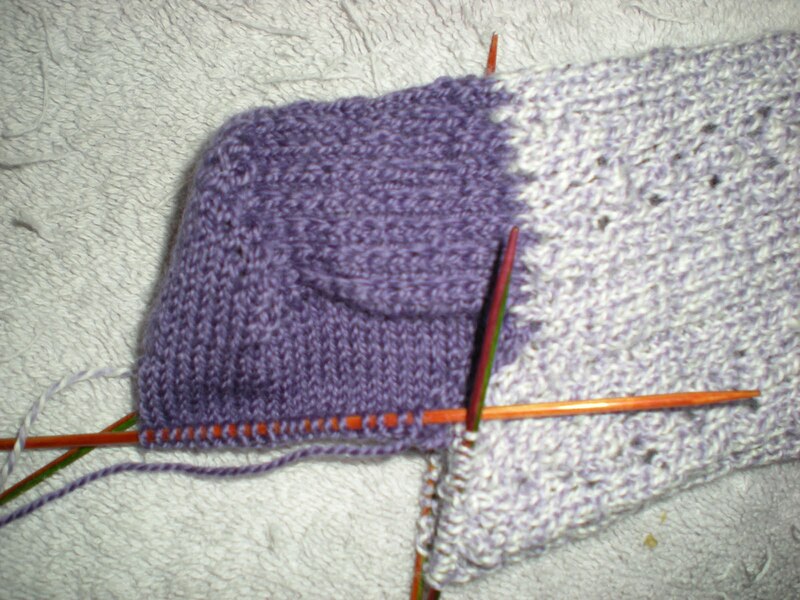 Knit in two colors, I am making the one the reverse colorway of the other. Most people just do the cuff, toe and heel flap in different colors. Toe, cuff, fine. Those are easy to do and switching color is no problem. The problem is in switching colors on the gusset. How do you switch color if you are knitting in the round and the new color is always on the wrong side of the sock from where you need it to be? Not a big deal. Always two rows back and forth; knit in pattern and purl back. Wrap the yarn just like in Fair Isle or intarsia. My biggest problem was which row to stop the pattern across the instep so I would remember where I was after turning the heel flap and picking up the gusset stitches. My solution was to knit the last pattern row so I could come back in plain purl. That way I was starting with the first row of the graph again. 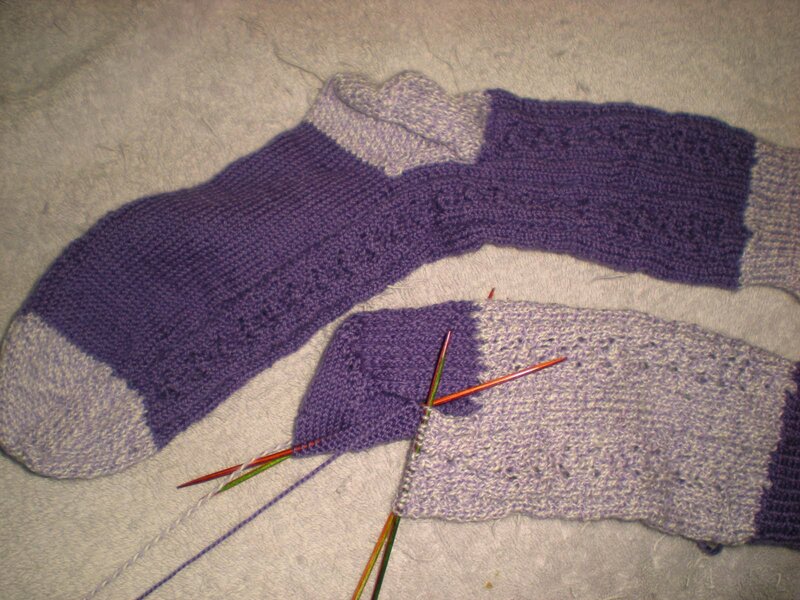 When I finished turning the heel, I purled back and picked up gusset in purl, then continued across the heel again to pick up the gusset in knit. 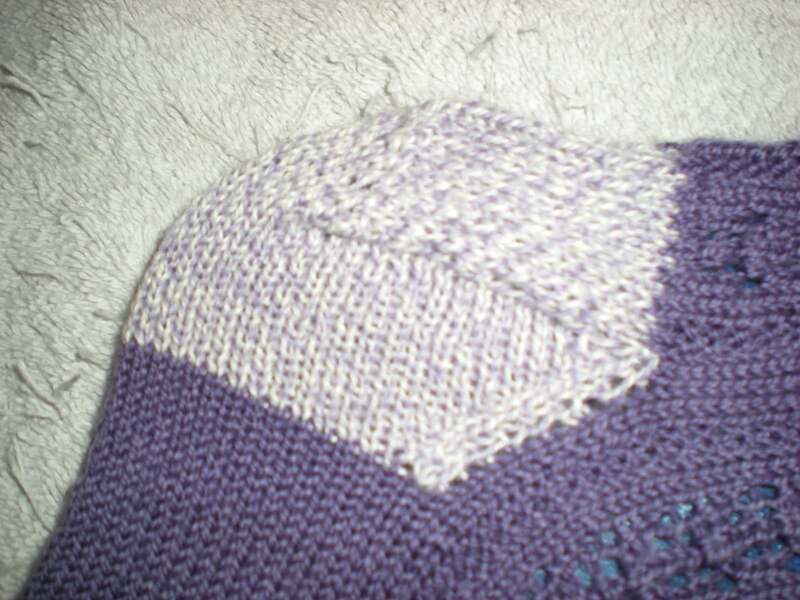 Stop, twist the colors, knit the first row of the pattern across the instep, purl back, stop. Then I make sure that every knit row is either pattern or decrease and every purl row is straight purl. This is what I have so far.